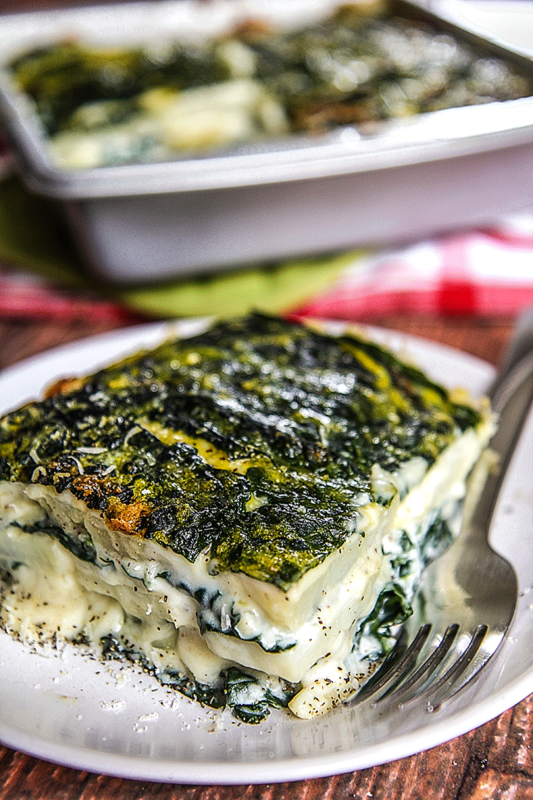 Here’s a vegetarian pie which believes itself a lasagna! 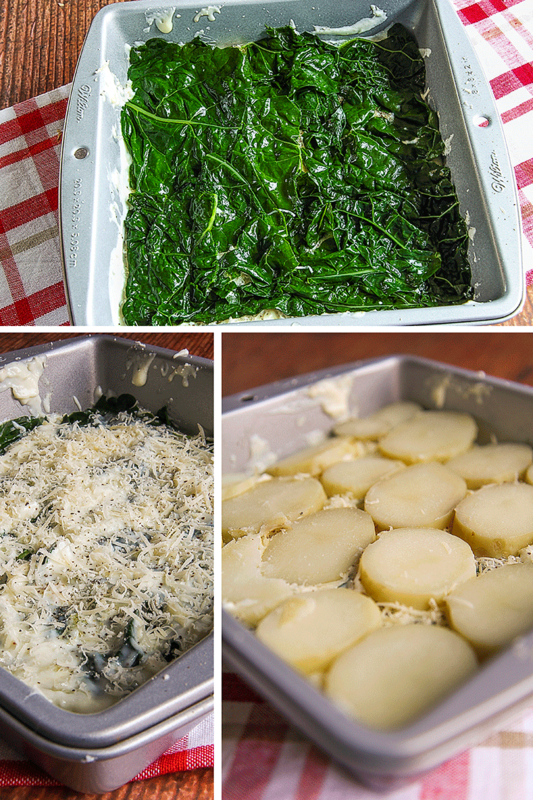 Lacinato kale leaves with potatoes layers, all garnished with a classic béchamel sauce and grated Parmigiano Reggiano cheese. 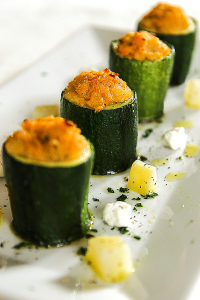 This recipe is not quite dietetic, but its fulfilling taste takes care of all your remorse! If you prefer, you can prepare this pie a day in advance, cooking it in the oven just before serving. Don’t forget to operate the grill after cooking, to get a golden and crispy crust! Boil the potatoes starting with cold water. When the potatoes are ready (count 35-40 minutes into the boil water) drain them keeping the water. Peel the potatoes as soon as possible and leave them to cool. Now, Clean the lacinato kale and remove the toughest stalks, then cut the leaves into pieces of about 2-3 inches and simmer in the potato’s water for 5 minutes. 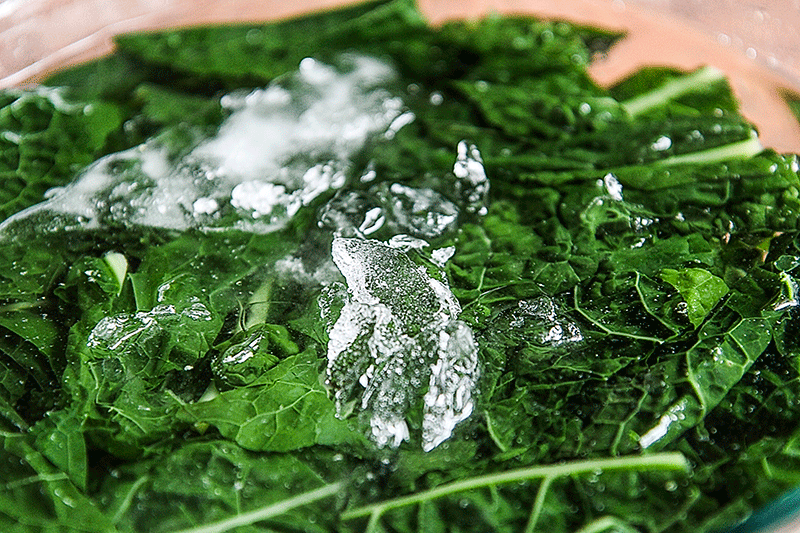 When ready, drain the kale and throw in iced water to stop the cooking. Cut the onion and the garlic finely diced and saute in olive oil until they are soft and translucent. Now, prepare the béchamel sauce. Heat the milk without it gets to a boil, then melt the butter in a small saucepan over low heat. When the butter is melted, add the flour sifted, stirring to form a smooth paste (roux). Continue cooking for 5 minutes, lifting pan from heat occasionally to prevent the roux from sticking. After 5 minutes, remove the pan from the heat and add slowly the hot milk, stirring constantly. 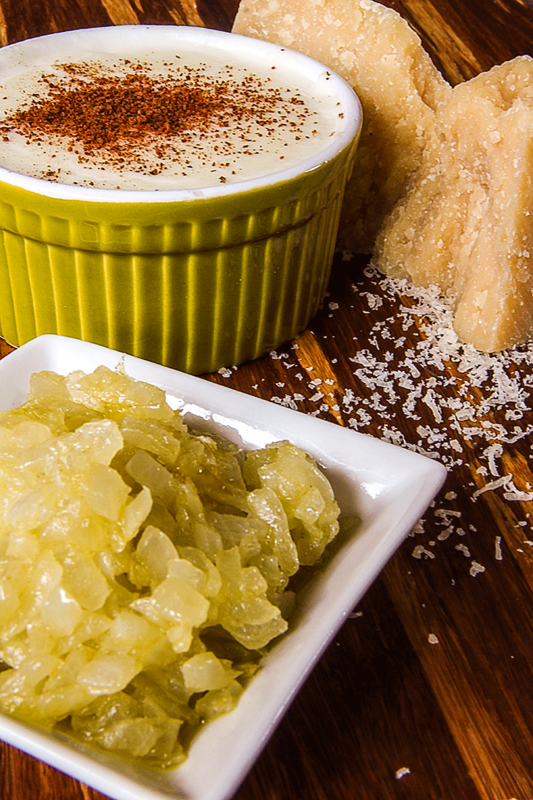 When the mixture is smooth and without lumps, return the saucepan on the heat and continue cooking for 15 minutes. When the sauce is ready, add salt and the garlic and onions and a pinch of nutmeg, combine everything. Preheat the oven to 355 ° F. Cut the potatoes into slices about 1/4 inch thick. Take a baking pan of about 8×8 inches to form the vegetarian pie (if you want to use a larger baking pan, increase in proportion to the dose). Roll out the bottom of the pan a thin layer of béchamel sauce, then alternate at least three states of kale leaves, potatoes, sauce, pepper and grated cheese. 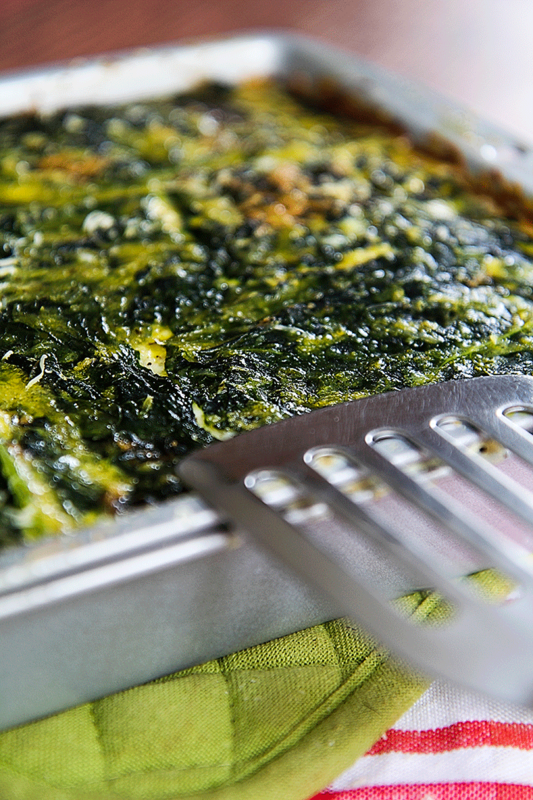 Complete the last layer with the kale, brush it with a beaten egg and a generous sprinkling of Parmigiano Reggiano cheese. Bake the pie at 355° F for 20 minutes, then operate the grill until the crust is crisp and golden. Take out the pan of the oven and rest the pie 10 minutes before serving. To save time, we can prepare the pie the day before and store in the fridge covered with aluminum foil. Bake the pie just before serving. Cut the onion and the garlic finely diced and saute in olive oil until they are soft and translucent. Now, prepare the béchamel sauce. Heat the milk without it gets to a boil, then melt the butter in a small saucepan over low heat. When the butter is melted, add the flour sifted, stirring to form a smooth paste (roux). Continue cooking for 5 minutes, lifting pan from heat occasionally to prevent the roux from sticking. After 5 minutes, we remove the pan from the heat and add slowly the hot milk, stirring constantly. When the mixture is smooth and without lumps, return the saucepan on the heat and continue cooking for 15 minutes. When the sauce is ready, add salt and the garlic and onions and a pinch of nutmeg, combine everything. 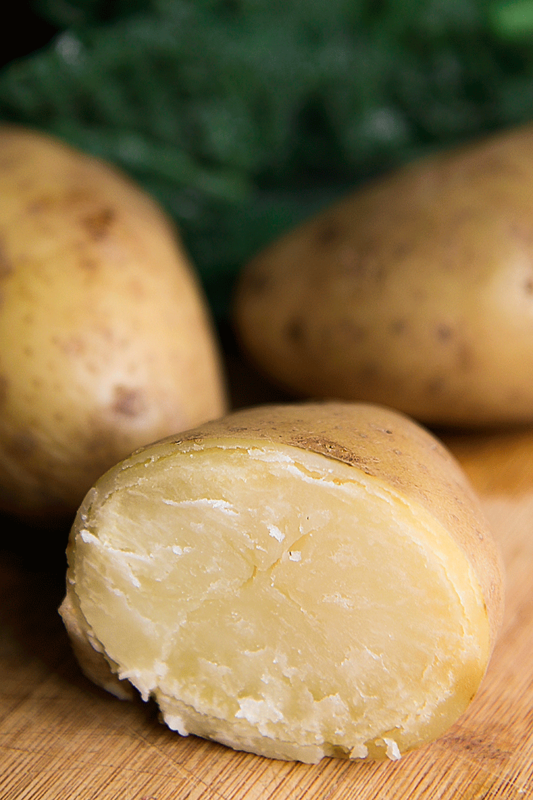 Preheat the oven to 355 ° F. Cut the potatoes into slices about ¼ inch thick. Take a baking pan of about 8x8 inches to form the vegetarian pie (if you want to use a larger baking pan, increase in proportion to the dose). Roll out the bottom of the pan a thin layer of béchamel sauce, then alternate at least three states of kale leaves, potatoes, sauce, pepper and grated cheese. 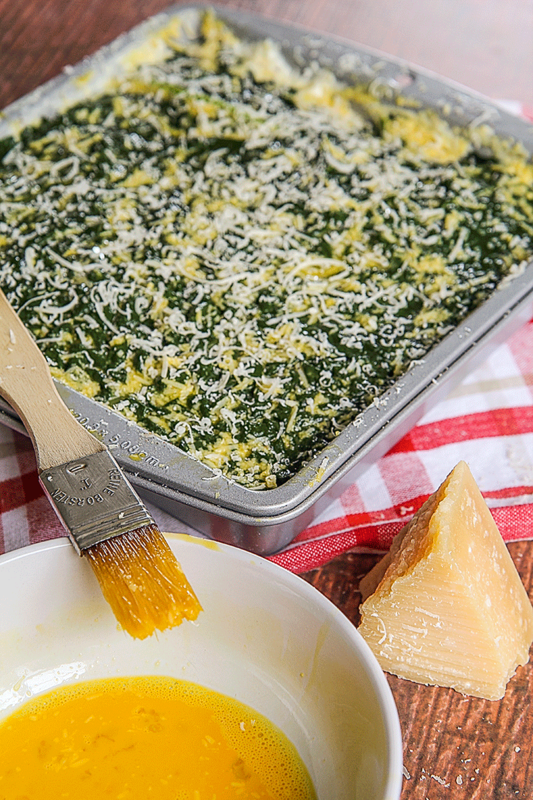 Complete the last layer with the kale, brush it with a beaten egg and a generous sprinkling of Parmigiano Reggiano cheese. 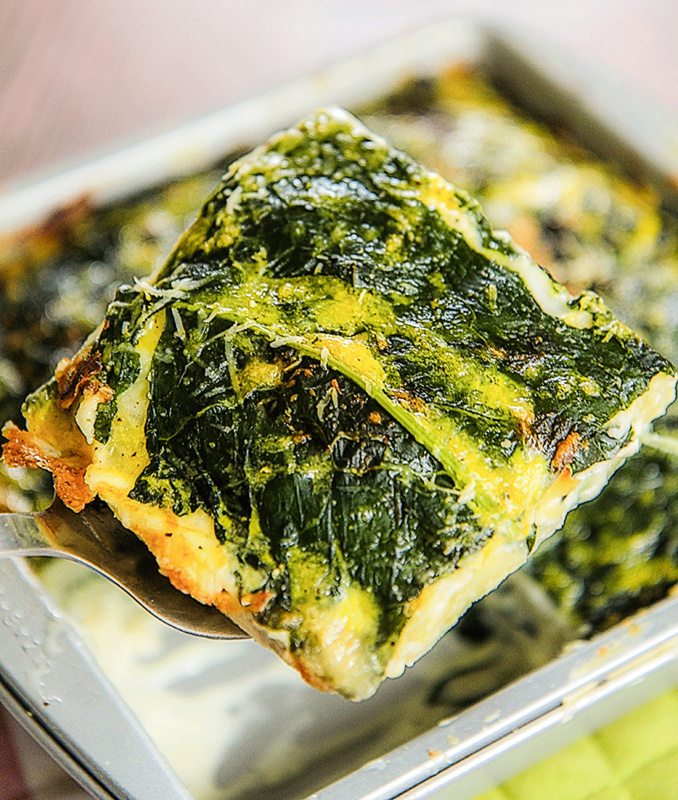 This vegetarian “lasagna” is really tasty and delicious, perfect in autumn season. 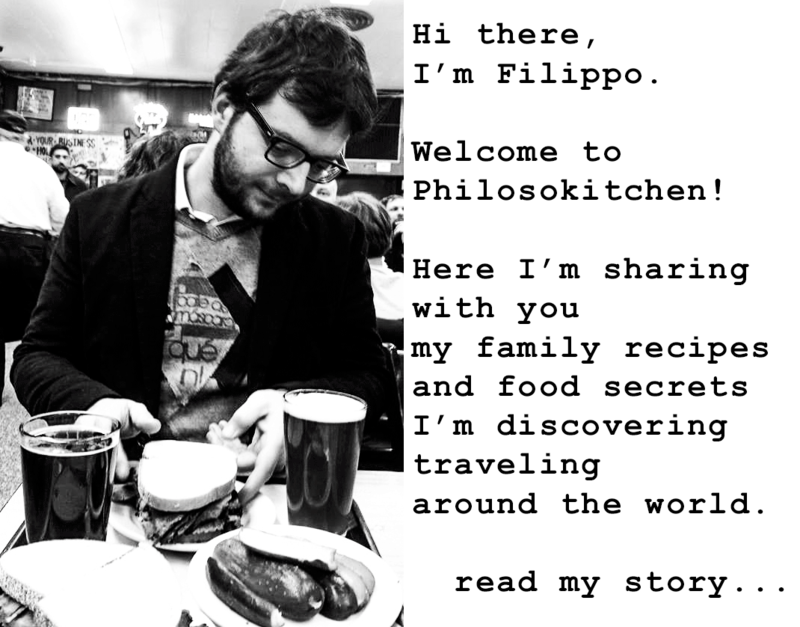 Thanks Filippo! This was amazing, my son even loved it, I’ll be making this in place of regular lasagna way more often, thank you. Thank you Lisa, I’m glad your son loved it!